While I'm thrilled that my daughters received my husband's blue eyes, his tall height and his generous, caring personality, I do wish that his dry skin genes had skipped them. After all, it's one thing for an adult to be bothered by the itchy, cracked, sore feeling on our hands, knees, elbows and more that come along with skin irritation, but it's even worse knowing that our kids feel the same way. What parent doesn't feel bad knowing that their baby or child's soft, sensitive skin is bothered? Which is why I'm thankful that there are products like PINXAV that are specially formulated to to create a barrier to prevent irritation gently and quickly while also working to stop the pain and begin healing the skin! 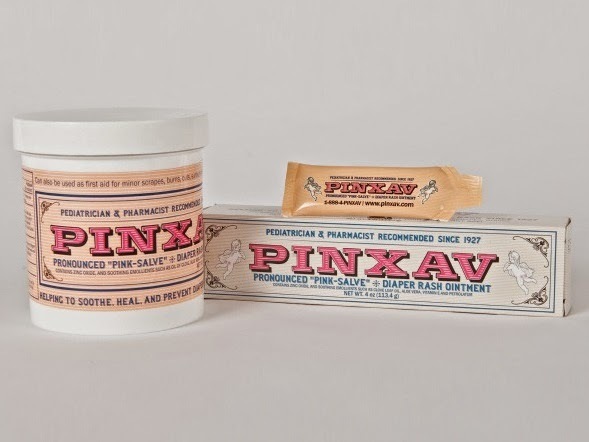 Created by Milford Harris back in 1927,the original formulation of this "pink salve" has stayed the same decade after decade and has continued to gain fans as each of the 87 years has passed. Whereas most diaper rash ointments are solely used for the treatment of diaper rash, PINXAV has been known to be effective on just about any skin irritation. Acne, burns, bug bites, eczema, psoriasis, poison ivy and poison oak, abrasions, chapped lips, heat rashes, jock itch, bed sores, minor burns... is there anything that this magic cream can't help? While I no longer have babies or diapers in my household (whew! ), I couldn't help but be impressed by the way that PINXAV has such a huge variety of uses. My kids are forever getting bumps, scratches, bites and more, so if this ointment could help bring some relief, then of course I wanted it in our medicine cabinet! 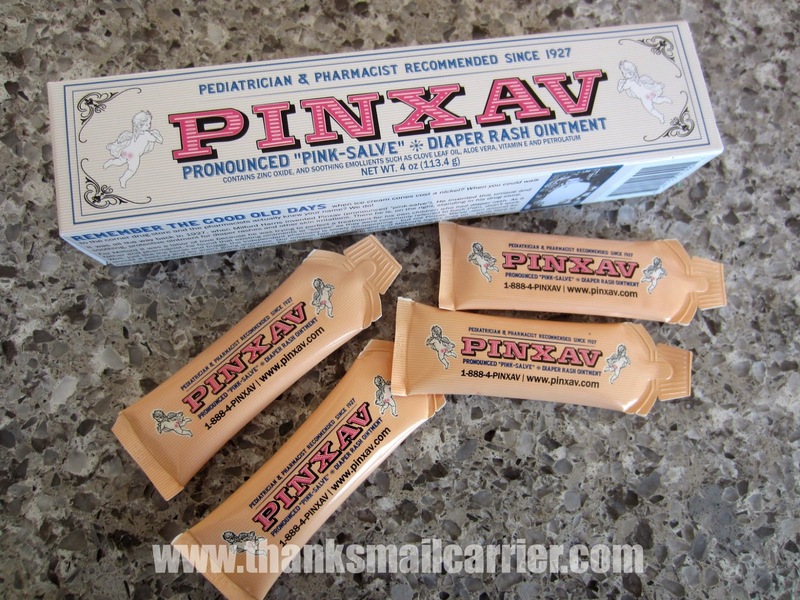 While I looked over the ingredients, I was happy to see that PINXAV does indeed contain 30% zinc oxide as the brand claims — far more than any other brand as far as their active ingredient! The remainder of the PINXAV formula is made up of great healing items such as vitamin E, menthol, lanolin and more. From the first squeeze, it was clear to see that this isn't a thin, watery cream that would disappear with a single swipe. Instead, PINXAV is a thick, opaque, pink agent (it contains a very small amount of Ferric Oxide, giving it the pink color) that thoroughly covers and smooths on skin. Whether used at bedtime to clear up a rash, layered on a mosquito bite to relieve the itching or rubbed on a sunburn to take away the pain, PINXAV has proven that there is a reason that it has withstood the test of time. I'm happy knowing that we have it on hand for just about any first aid needs and have recommended it to moms of babies to give it a try to relieve diaper rash! Whether purchased for your own household or picked up as a high quality baby shower gift, it doesn't take much more than one try before you see just why PINXAV has been a family favorite for nearly a century! PINXAV is currently available in 4oz tubes and 16oz jars in stores in Ohio and western Pennsylvania, from their online store as well as on Amazon. Want to see it on a shelf near you? Request that PINXAV be stocked at your local pharmacy and help get this miracle cream in more stores across the country! 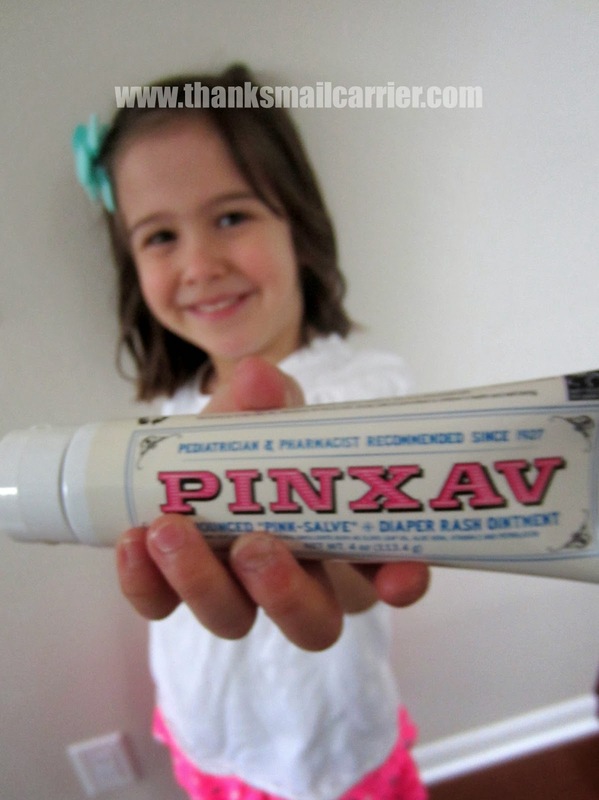 Find out much more about this incredible ointment by visiting Pinxav.com and connecting with this family-owned company on Facebook and Twitter. I was provided with PINXAV samples to facilitate my review as well as compensation for my time, however, all thoughts and opinions expressed in this post are completely honest and my own. I can't believe this product was created in 1927, why have I not heard of it before today? Thank you for sharing this great review, I'm looking forward to giving this product a try. This is the one baby product I recommend to anyone that will listen! Amazing. My children have never had a diaper rash while using this product. I have heard of the ointment but forgot about it. I could use it for eczema on my arms.